Previously on Barry, Barry and Chris escaped from the air strip, but with Chris haunted by blood on his hands and threatening to go to the police, Barry took him out (and in turn is now haunted by the blood on his hands. Elsewhere, Detective Moss made the connection between Ryan and Barry, Sally is close to being signed by an agent, and the Bolivians declared war on the Chechens. The episode opens on Fuches in the hotel room, and a mysterious intruder trying to get in and failing. Fuches warns that he has a gun, but as the person opens the door it somewhat obviously turns out to be Barry. A Barry who is still shaken by the events that have taken place that day. Fuches is elated to start with, but as Barry makes it clear that he's leaving once and for all, even going as far as to punch him in the face in case he tries to stop him, the mood in the room changes. With Barry gone, Fuches pays Goran a visit, but he's not overly happy with him either. Fuches tries to talk his way out of Goran's rightful anger (I mean he did essentially encourage him to start a war with his biggest rivals) but it doesn't seem to be working, that is until he divulges the information that Barry is in fact alive. Fuches tries to wager a deal and make himself helpful to the Bolivians again by giving them Barry's location in return for his safety, but of course they already know where Barry most likely is thanks to Vacha. Perhaps Fuches has just run out of ways to worm himself out of trouble. Goran gets Fuches put in the same chair he was previously tortured in, and in walks Vacha's twin brother for another round, except this time Fuches won't be getting out of that chair alive. As Goran plans to find Barry and take him out, Hank rings him and gives him a heads up that Goran will go looking for him at the acting class in a surprisingly touching scene. At the precinct, Moss receives a warrant for the arrest of Goran and Loach and herself head off to get it done. At Goran's, he walks in surprised to see that Fuches isn't already dead. It turns out that the idea is to put him in stocks and draw out his death a little longer, and it seems like an even split between psychological torture and extreme eccentricity that we've come to see in the general characterisation of the Chechens. It's bizarre but in an amusing way for the audience, but unfortunately Goran does not agree and tries to force a quicker disposal of Fuches. In the end he has to get the job done himself, but just as he's about to pull the trigger on Fuches, we hear a gunshot. It turns out someone got their in the nick of time. And with a gaping head wound that he has no hopes of coming back from, Goran spurts blood all around him and waves the gun about, seemingly unable to stop himself. 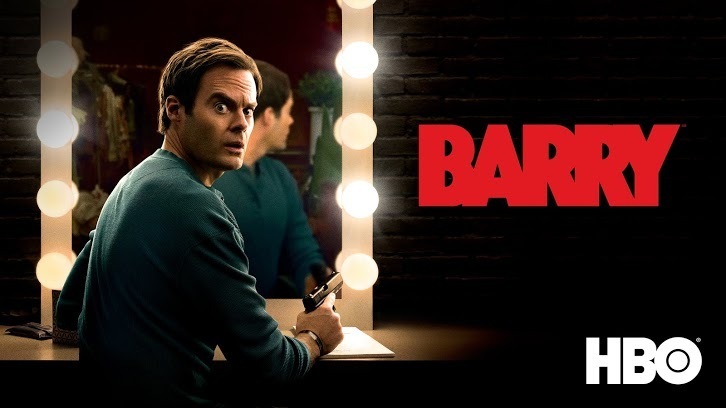 Barry is a show that has shown that it's able to blend brutality and hilarity seamlessly and this is no exception. With everyone distracted by Goran bleeding out, someone takes out the rest of the Chechens in the garage. That someone is Barry, of course, and the detectives and Hank are certainly going to be interested in what he's done. With the police en route, Hank discovers Goran's body, appearing somewhat upset. That could just be a fake out though, as he then smiles and simply says 'Barry'. Maybe this is a friendship for the ages. With sirens quickly approaching the house, Hank tries to get the remaining Chechens out of there. After rescuing him from Goran, Fuches thinks that he's now back in Barry's good books, but Barry makes it clear that that is not the case as he drops him off at the airport. He even hands him all the money that they have together and tells him to get out of the car. Fuches protests, saying that Barry was made to kill people and should still be working with him, but with Barry insistent that he doesn't want to do that, and an officer telling them to move, Fuches reluctantly exits the car. At Goran's, the detectives arrive on scene and see the massacre that has taken place. Moss immediately thinks that it's at the hands of the Bolivians, but Loach tells her not to jump to conclusions, which is a complete swapping of roles for them. She doesn't agree however, and we later see her and Loach at a press conference breaking down what happened with the Chechens, Bolivians and Taylor. 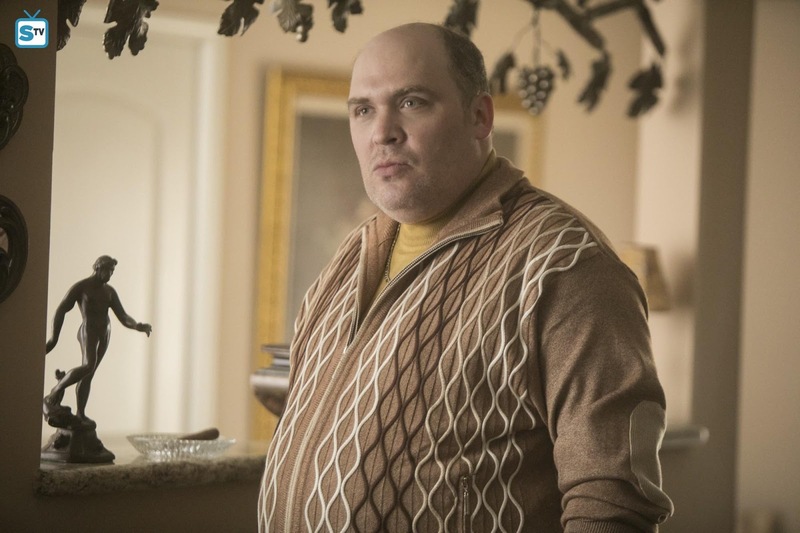 The press conference however details a completely different story than what the truth actually is, and pins Ryan as the leader of the organised crime that has happened throughout the season. The Chechens watch from their stash house, along with Cristobal, and Hank is now presumably the leader of the Chechens with Goran dead. At the bar, Barry joins the rest of the theatre class who are also watching the press conference, and after Sally hugs him he tells her that he can no longer take the acting class. Sally believes it's the wrong thing to do, but Barry can't take her advice on using the same process as he did in the last episode to be able to channel the emotion that he did for his Shakespeare performance. It totally makes sense that someone who is trying to stop being a hitman would no longer want to kill people, but Sally takes it the wrong way and thinks that Barry is simply afraid and unwilling to go there emotionally again. Sally tells Barry that she uses her own personal experiences to help her with her acting, namely her abusive ex-husband (honestly, when will she catch a break?) and she tries to convince Barry that digging into his emotions won't be as hard as it was the first time. Sally wants Barry to open up about what made him so emotional, but seeing that he's unwilling to do so, she offers to do a comedic play with him and says that they work well together. Barry agrees and they get to work on organising how they'll be able to do it. In what originally seemed to be another one of Barry's dreams, Barry and Sally are rehearsing 'The Front Page' at a lakeside cabin where they're vacationing with Gene and Janice. After a season of Barry imagining the perfect life with Sally, this threw me off, but it all seems to be very real and too good to be true. Barry and Sally are almost ready to star in their play, and already have another one planned together, and both couples seem very happy together. As night falls however, Gene recalls the scene in the parking lot where Barry delivered his 'monologue' that convinced Gene to let Barry into his class. With Janice sitting right there, Barry worries that she'll read into it and catch on to who he used to be. He tries to get Gene to shut up with a simple look, but he just barrels on. He gets even more panicked when Janice says she has a question that she wants to ask, but it turns out it's just for Sally. He's clearly shaken by this, and he has reason to when Janice sneaks out to research Barry on Facebook, finding a connection with him, Chris and Taylor. After finding that, she quickly puts together that he was the shooter of the Chechens all along, and that they placed the blame on the wrong person. Barry approaches Janice and she pulls a gun on him. He raises his hands and tries to explain the situation with Fuches. He tells her that he's a changed man, and asks her to just forget what she knows because it would make everyone's life better. He tries to appeal to her, but she refuses to back down and insists that he has to be taken in. Barry pleads with her to change her mind but she's absolutely set in her ways. She orders Barry back up to the cabin and follows him with her gun pointed at his back. The whole way up he keeps trying to convince her to do the right thing for him, but it's all in vain. The camera cuts to a gun that Barry has placed on a tree, but just before they reach it, he turns to Janice to try and convince her one last time to not do what she wants to do. Barry was never going to give himself up, so I'm not surprised by this, but killing someone this close to his circle seems like too much of a risk and something he can't come back from. He doesn't want to do it, but with Janice not knowing what she's setting herself up for, she makes it clear that Barry will be arrested. Shots are fired, as Sally (and presumably Gene too) sleep on. The episode ends with Barry walking back into his room and getting into bed with Sally, in a shot that somewhat mimics their first time together. Barry is once again visibly upset, and as he faces the camera, he simply utters the words 'starting now', sealing Janice's fate. Throughout the first season, Bill Hader and Alec Berg's creative direction in terms have writing has allowed the show to explore incredibly dark themes in sometimes comedic and lighthearted ways, and together they have truly made an excellent gem of a dark comedy with dramatic undercurrents. In such a short space of time they've managed to create characters who do some appalling things, and yet you somehow still can't help but root for them, although with this episode that may have changed for some viewers. Were you surprised at how the story was wrapped up? Will you be back for the second season? Let me know in the comments.